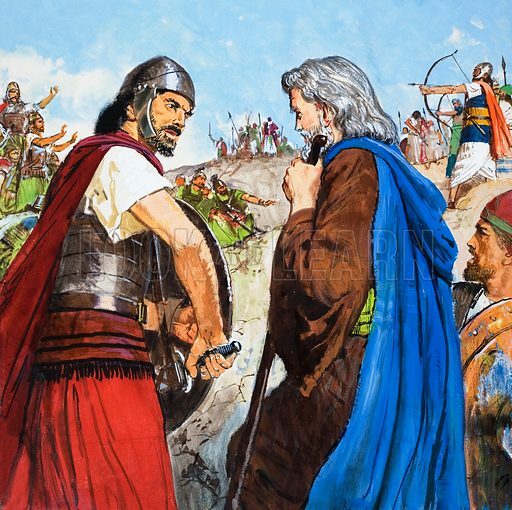 The story of Elisha retold from The Second Book of Kings in the Bible: The Enemies Meet. Original artwork for the illustration on p9 of Treasure no. 215.